NUC and SSD in hand and SSD is in the NUC. 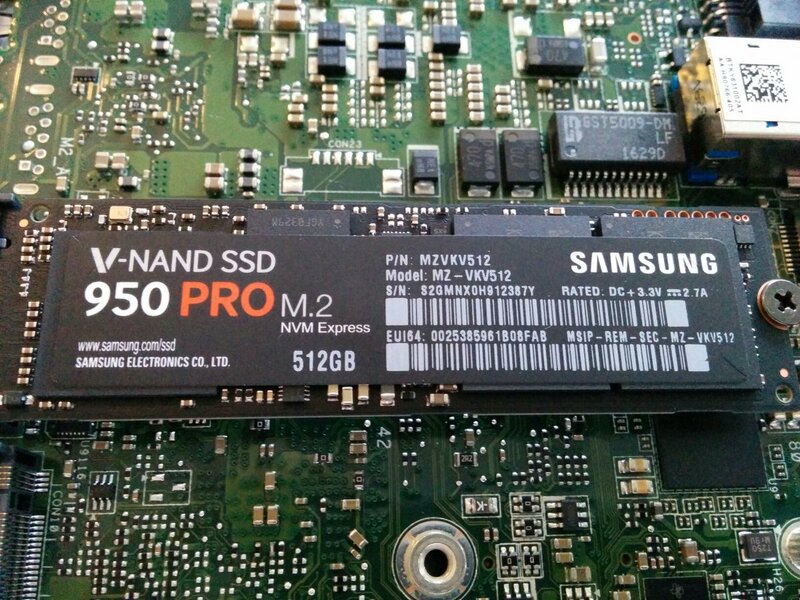 I can't get over how small the SSD is for what it achieves. Amazing technology, really. 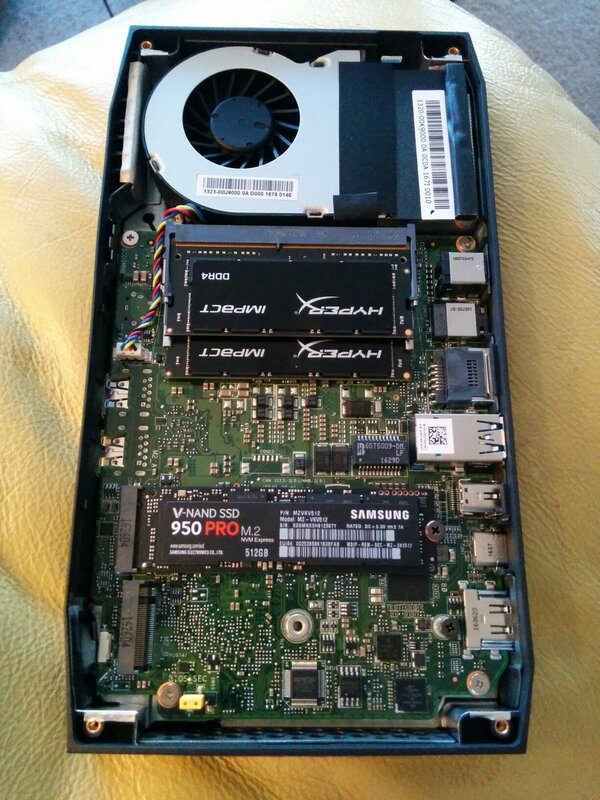 The NUC feels solidly built and well designed. Little things like retained screws in the bottom cover and a quality feel for the power button ice the cake. More welcome. Need something by this weekend, by the looks! Maybe it's time to try Mint? Or Lint or whatever the LXDE variant is. Hmmm, I kinda like it, but it's long, and yank-inspired, and doesn't work well as alllowercase. 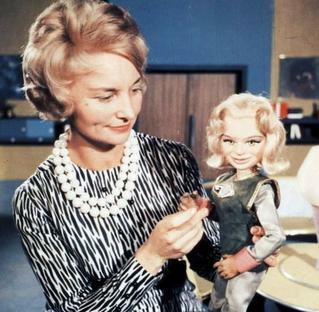 10:15 <@fredcooke> what were the name of the different thunderbirds? 10:16 <@fredcooke> maybe it should be called Penelope or the butler? 10:16 <@fredcooke> what was his name? 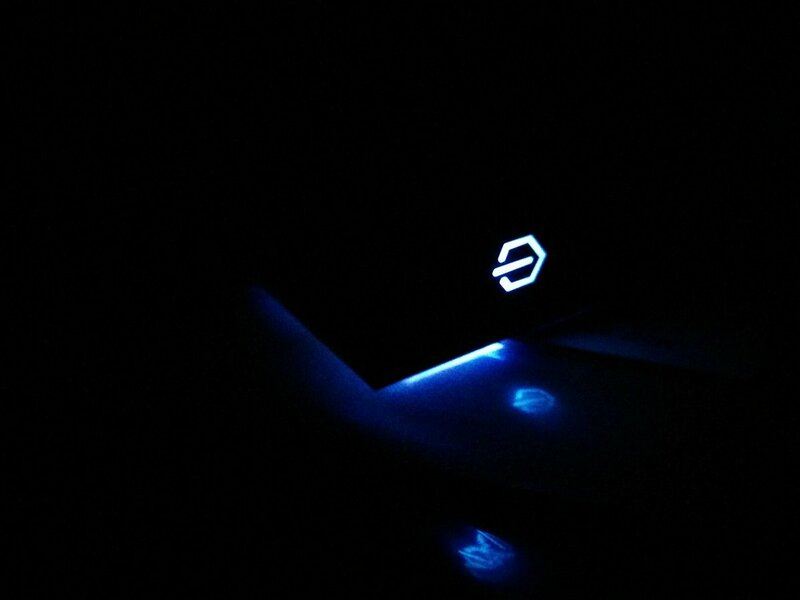 Solid light, lots of fan, nothing on the screen. Pulled RAM. Three flashes (mem error) on repeat. Good, this implies that it's happy with the RAM when it's in there. 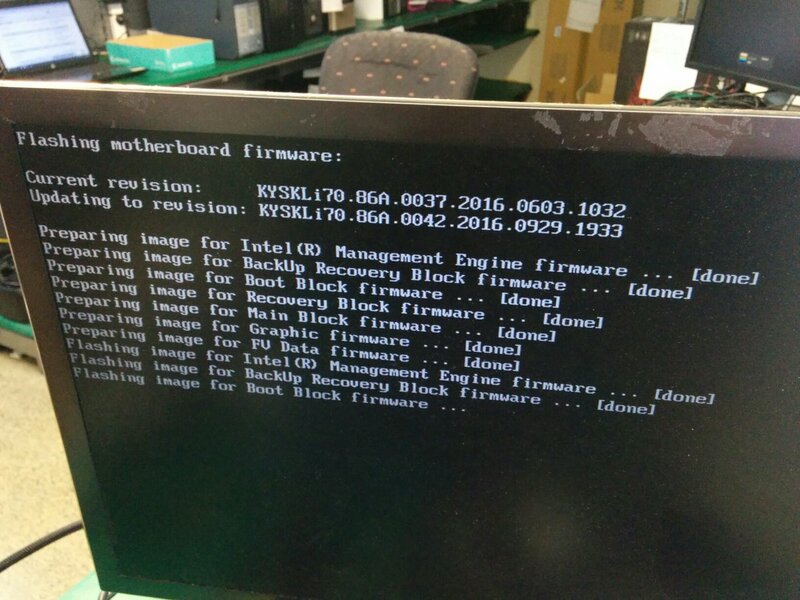 Put RAM back, pulled disk, no difference. 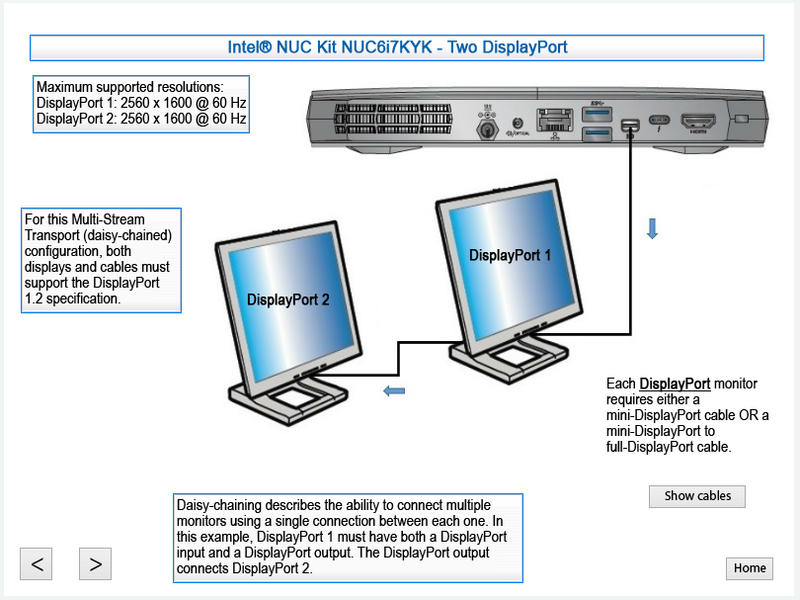 Tried mini display port active adaptor, no dice. Tried apple DVI to HDMI adaptor, non dice. Took it to neighbour's place and connected HDMI to average/small/old TV, no dice. Skulked home to sulk. 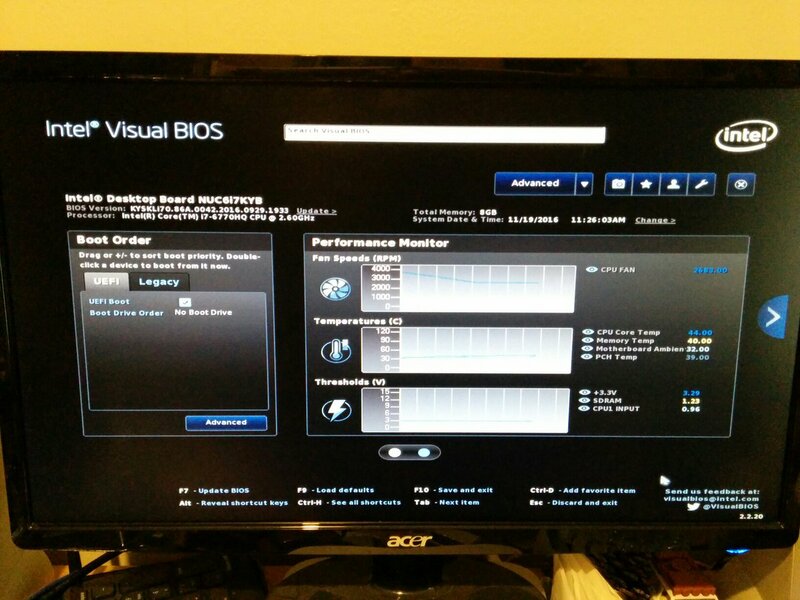 Read online about bios updates and RAM etc. Learned about beeps that you need headphones plugged in to hear. 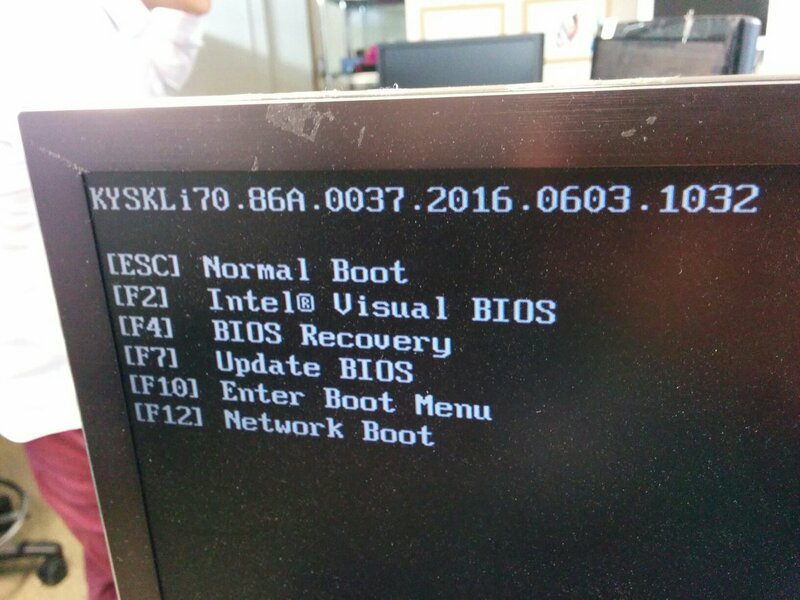 Checked manufacture date and release dates of bios and fix lists, decided to upgrade it. Did it with the recovering method the first time, not clear if anything happened, said 2-5 minutes, gave it 7 minutes, and powered it down. Powering it up I got a single beep and then the same. Powering it up again, no beep, same. Decided to retry the bios update with the press and hold and release mechanism, beep beep beep, release, and the LED flashed orange once and then returned to white/blue, instructions said 1-3 minutes, turned itself off in that range. Promising. 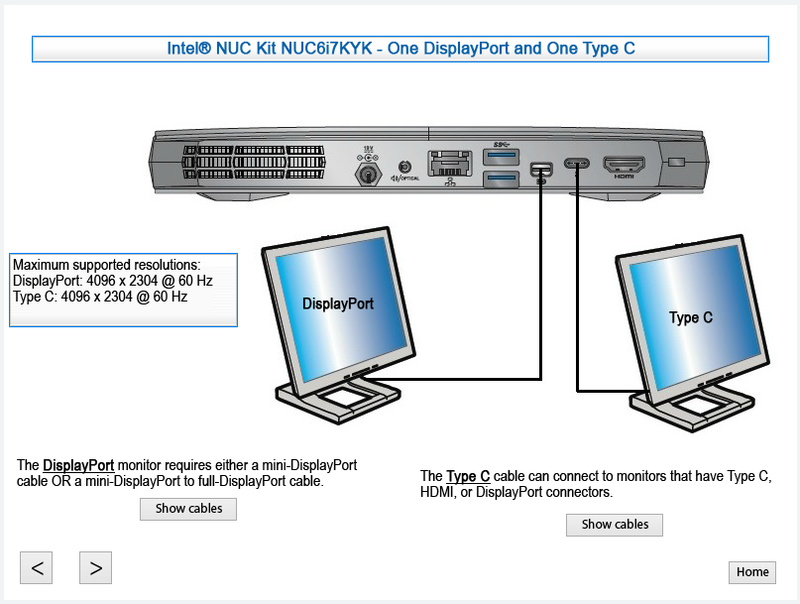 Still no monitor activity on apple HDMI adaptor. 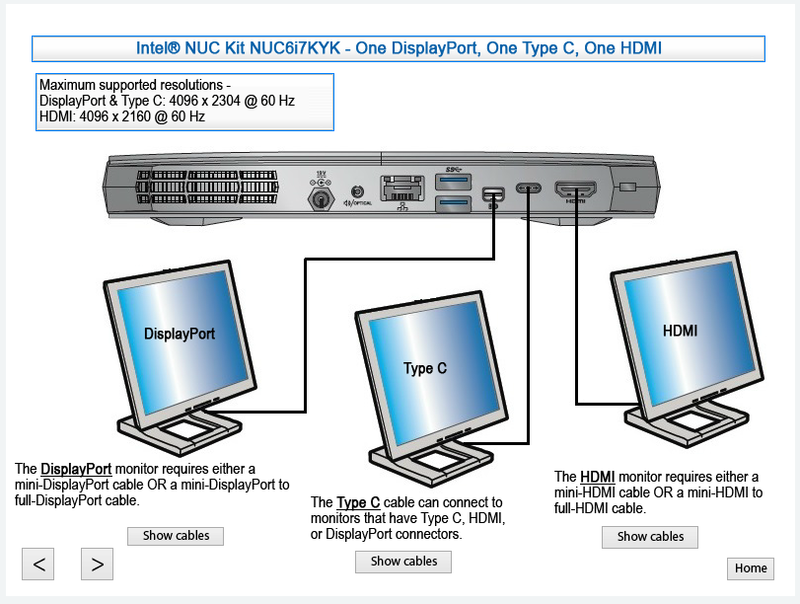 Researched a bit, HDMI 2.0 on this machine, and the monitor is the cheapest I could find in Spain/Germany 5 years ago. I suspect incompatibility of screen and output. I have no equipment to prove it, though. So today I might go pay some shops a visit, bundle of gear in hand, and see if I can get some life out of it. I only need a screen to get the OS onto it in the first place... then it can live headless as a workhorse. rat a tat tat, mako! A very fast shark, very aggressive, beautiful to see in action or just cruising. 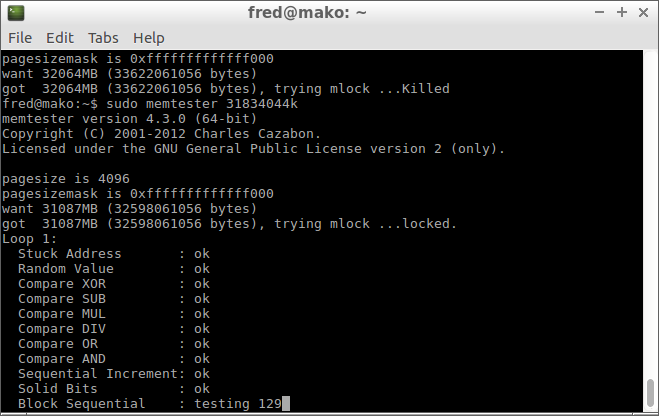 I've killed and eaten a few :-) This one I'll try to keep alive, as soon as I get more suitable RAM, that is. 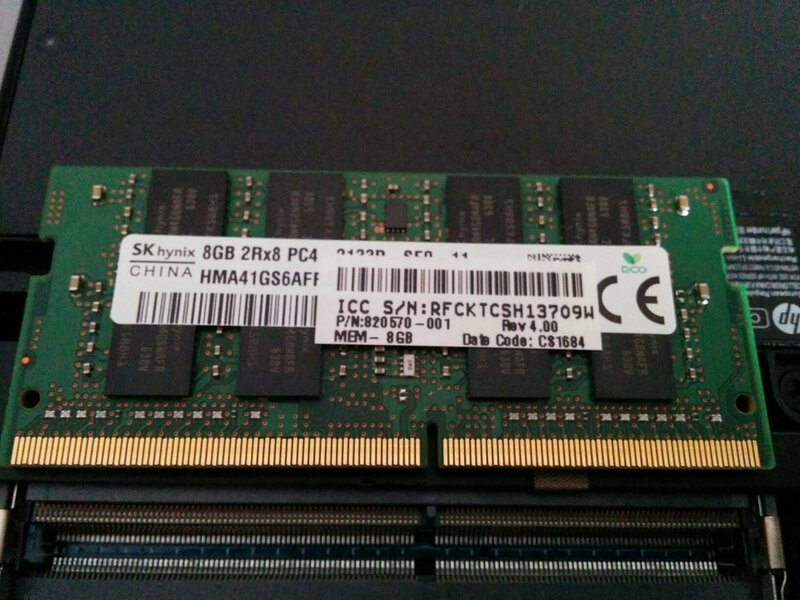 So to do this install I had to borrow a stick of 2133 RAM from another machine, cough. 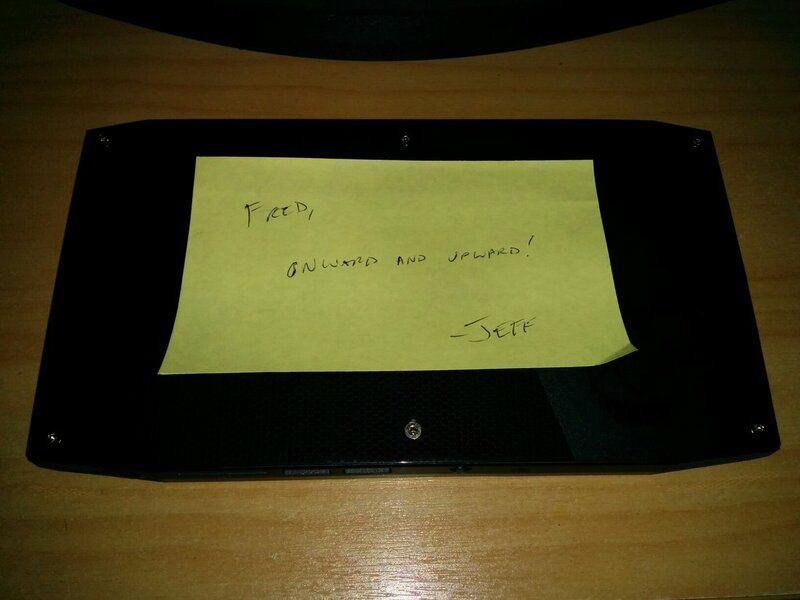 I need to send the other stuff back to Amazon, or sell it locally, and get some more that will work with this thing. Until then, it's just in waiting with a blank OS. 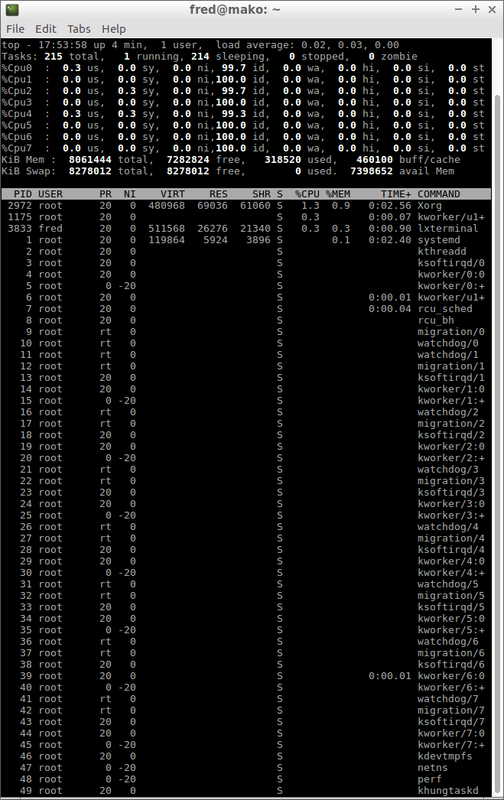 Waiting for automation, and waiting for RAM. But it's alive, in spirit, at least. Installer finished before I finished drafting the post! :-D peow peow. Running fine, time to install SSH server and remove monitor and keyboard/mouse from it. I have until Sunday night to do what I need to - then the RAM has to come back out and go into the laptop I pinched it from. It may be possible to make it work by configuring the bios correctly, however in my current state, that might be a bit beyond me. Might have another try tomorrow arvo if I feel like it. Today I feel like the overclock/tuning guide and the datasheet+FAQ entries are a bit heavyweight for me. Something to think about into early next year and after the RAM situation is fully resolved. Right now I'd be saying "definitely option 6" if the prices were more sane. Option 7 could be a winner, but I'm unsure about 3 on Linux, and 2 is annoying as the centre is not screen, it's frame/border/edge/gap/wall. If 3, perhaps vertically mounted, too? And if I go that route, I can buy them one at a time, as I can afford it. Last job I had two decent monitors, and just kept one in front, and one off to the side, which worked OK for me. 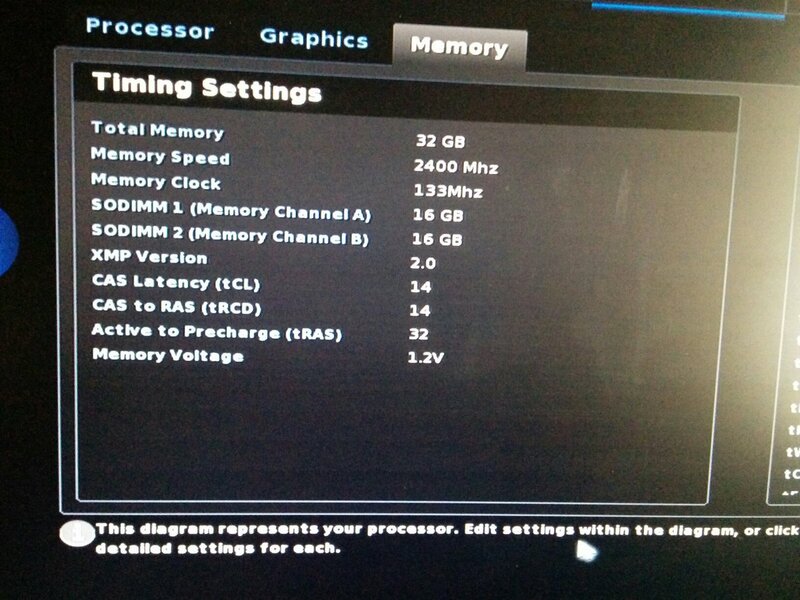 Had a read of the tuning guide and ram spec sheet and a poke around in the bios and took a stab at setting it up for the Kingston 2400MHz CL14 RAM, and it booted up! Once. 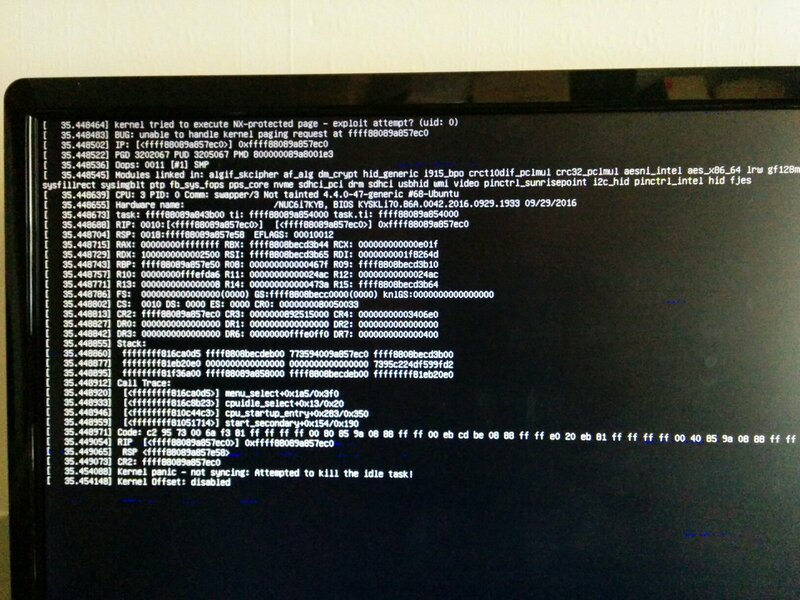 Then had memory corruption, and then wouldn't boot a second time. So back in went the 8 gig 2133MHz stick... running at 2400MHz with the settings from the fancy stick... and allowed me to tweak those settings a bit more, so I raised the two minimums by 10% each and retried, rock solid! 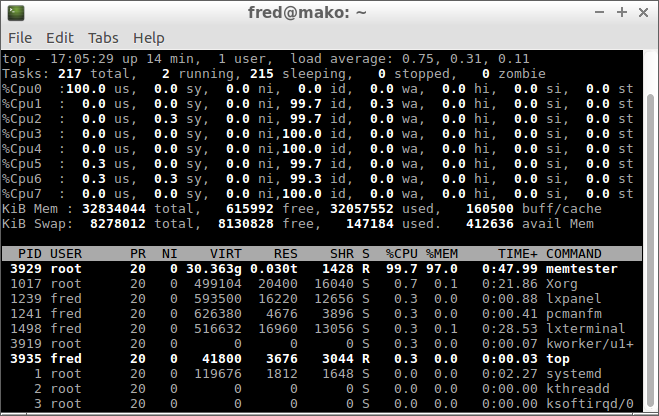 Thrashed all 32 gig of RAM with memtester and got it nice and warm, no errors! 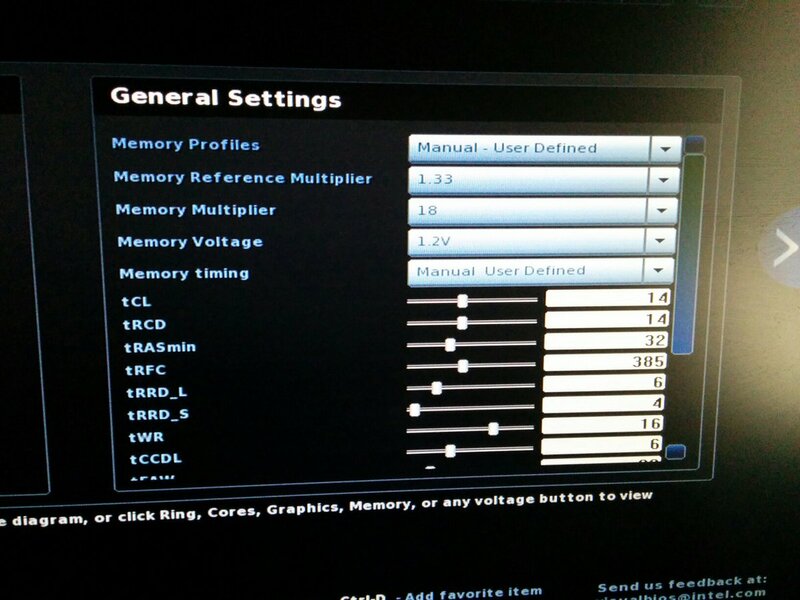 Changed the fan settings too. Default "balanced" mode appeared to be 27% min fan duty, 2%/*C, 67C ramp start. 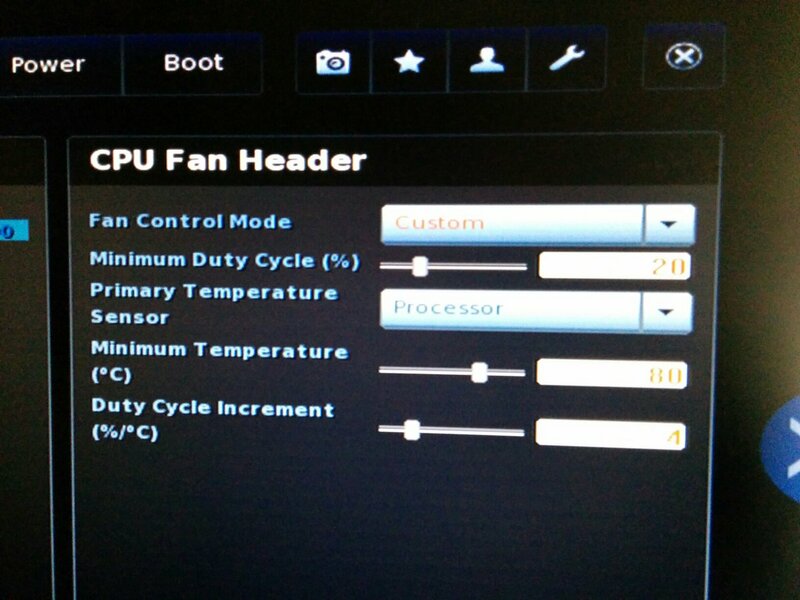 So I made it 20% min fan duty, 80C ramp start, and 4%/*C so as to hit 100% DC on the fan by 100C which is max temperature. As you can see, 33 * 2 is 66, 66 + 27 is only 93% duty at 100C. I might increase the rate to 5%/*C to ensure it reaches full fan prior to cooking and turning off, however it adequately handled the abuse I threw at it earlier. My bigger worry was how hot the RAM sticks were getting with the cover off and no airflow over them. Once I put the cover back on the fan spun up a bit as it was drawing hot air from past the SSD and RAM. With no load it's nearly quiet, now. I could further silence it by reducing idle duty to 15 or 10% and increasing the ramp rate more, or lowering the ramp start point. And now it's back to headless, but it's one hdmi and one usb away from headed any time I need it. And it can do most of what I want for the medium term without the monitor, anyway. Dinner time! And a busy week both 9 to 5 and 5 to 9.